If you love having any excuse to put your head in the clouds, then you’re going to absolutely adore playing Cloud Quest. Cloud Quest is really out there. 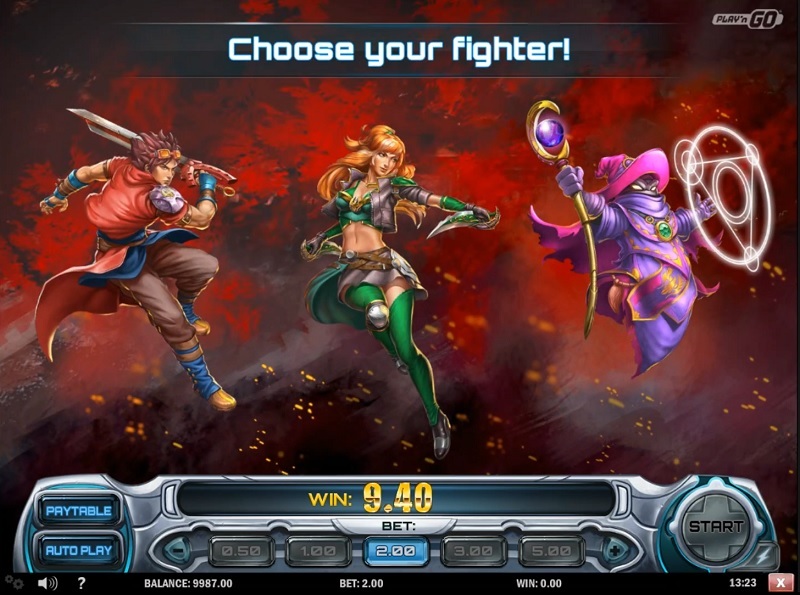 With stunning visuals and a completely different way of playing, this slot is a great change from the norm. 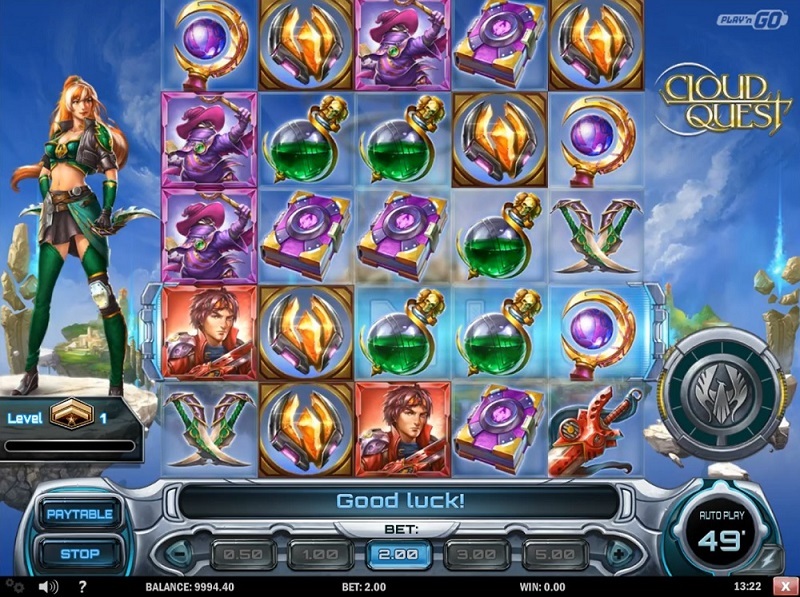 To win on Cloud Quest you need to hit three or more symbols in a row, but with every win, those symbols disappear paving the way for more than one win per spin. 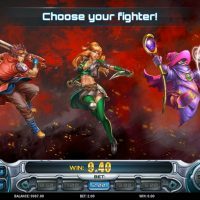 The really cool gameplay is backed up by wonderful graphics which is as good as anything you’d see out there, all set up on the backdrop of a flashy, futuristic city which hovers among the clouds. The symbols are all to do with fighting and sorcery, with a sword, a dagger, a staff, a shield, a potion, a book, an amulet, plus three main characters, and a wild all featuring. The best paying symbol is the wild which returns odds of 150/1 if you hit five in a row. 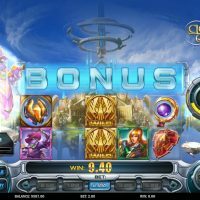 The bonus round is triggered by clearing enough of the symbols so the word ‘Bonus’ is readable in the middle of the screen. 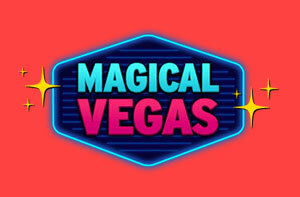 Once this is activated you then can win between 5 and 20 free spins which are used on a three reel slot. 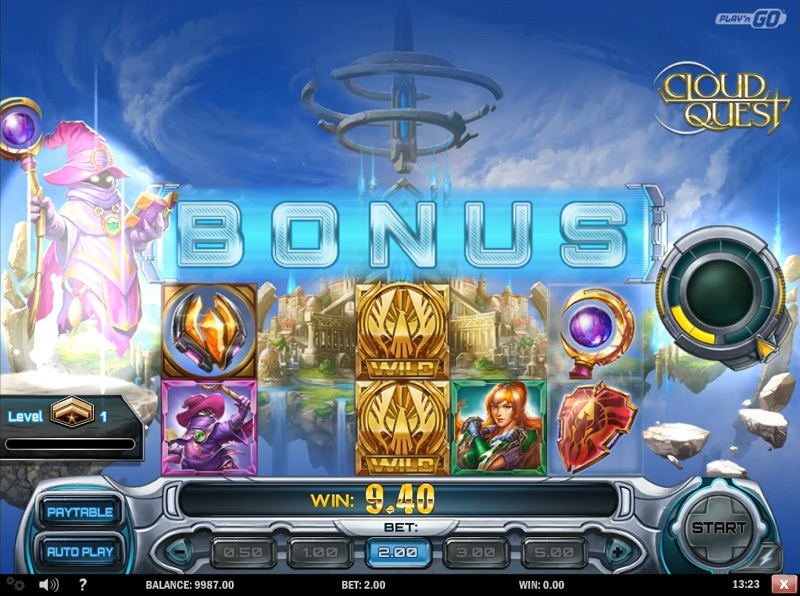 You can’t bet on different lines on Cloud Quest, but you can bet between 10p and £40 per spin. The house edge is 3.48%. There is a decent autoplay feature which has a number of auto stop functions. 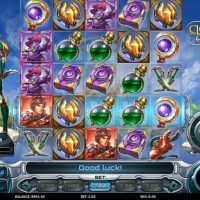 Cloud Quest is a great game, and for those of you who play a lot of slot games, this one will provide you with a differing experience which still hits all the right spots. Not only are the visuals beautiful and the graphics stunning, but the gameplay is really excellent too, and the bonus round isn’t too shabby either. With a relatively low house edge to go with it; Cloud Quest is not only unique, but it is fantastic as well.